The average professional living in a blue-painted house earns an impressive £38,000-a year and drives an Audi TT to work. They take 27 days annual leave a year and treat themselves to at least two holidays abroad to exotic locations such as Barbados or the Maldives. 23 per cent of people in blue houses have already worked their way up to Director level at work. A further 31 per cent are proud to call themselves 'manager' or a job title of similar status. And most of these professionals have at least three members of staff working beneath them. Blue home owners will have already achieved two significant promotions to date in their high-flying career. And if they haven't chosen the legal route, 11 per cent are likely to work in the health service or nine per cent in education. In addition to maintaining a successful career, people living in a blue house even do well on a personal level. The average blue homeowner is in a long-term relationship, has two children and four really close friends. Well, there you have it. Scientific proof that house colour reflects the success of their occupant. And does it relate to our blue house? Partially. I am a director and have more than three staff working in the institute. However, we don't do exotic holidays and I drive a Ford Focus. Here are the annual earnings of those occupying other house colours. Do people really paint their houses orange or purple? How about you? Your house colour reflect your success? Professor of Geography in NUI Maynooth, Rob Kitchin, said there was tentative evidence the property market was bottoming out. "We are at the bottom and we are bumping along the bottom and hopefully things will begin to rise again very slowly," he said. He said it appeared that property prices in Dublin were stabilising, but we would need at least six months of prices either remaining flat or rising before we can be sure we have hit the bottom of the market nationally. But prices outside of Dublin would keep falling, because there were so many vacant properties. 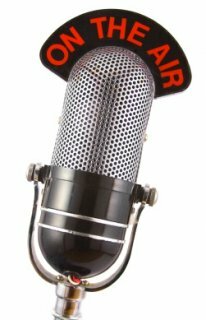 I had feeling the quote was taken from the Drivetime radio interview, so I went back and listened (starts 01.11.00 in, quote at 01.11.40). Here's what I said. I've also included the question asked and the preceding and following sentences to give the context. Int: Should we be excited by these figures? Even just a little bit? Me: Well, it's a very small increase, 0.2 percent, the first time [rise] in five years. I would be relatively cautious, in the sense that we really need to have a time-series of data. So if it levels out, or starts to slowly go up over 6 to 9 months then I think we can start to suggest that we might be or we're at the bottom and we are bumping along the bottom and hopefully things will begin to rise again very slowly. But on the way down we've had periods where its kind of slowed down and its almost looked as if its levelling off then its fallen again, and then it slowed down and fallen again. So it might be a tiny little blip, or it might be the start of something else. And its probably different for Dublin than elsewhere. This is now three months in a row for Dublin where house prices haven't fallen, though its fallen for apartments but not for houses, which suggests we might be seeing some levelling off for houses." So, the paper was kind of right with the last two sentences, but the quote was a little misleading in that the 'we are at the bottom' statement is lifted out of context. C'est la vie. Here's the analysis I provided on the other blog I contribute to. 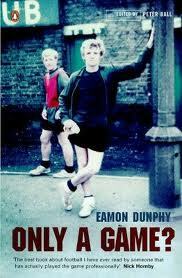 Since Euro 2012 is taking place, I thought I’d read Eamon Dunphy’s footballer's diary concerning the 1973-4 season. Dunphy is well established as one of Ireland’s top football pundits, as well as all-round journalist. Even back when he was playing he wrote a weekly column for a local paper and appeared on radio shows as a pundit. In 1973, he was 28 years old and an established first team player for Second Division team, Millwall, as well as an Irish international with 25 caps. Only a Game? charts from August to the end of November of that season, when he was sold to Charlton. The book is written as a diary, detailing the workings of the club, the camaraderie, rivalry and jealousy between players, the tensions between players and the coaching staff, the external pressures exerted on the manager and team, and the psychology of playing in matches and how they unfold. The real strengths of the book are the level of reflexivity and that Dunphy doesn’t pull any punches. The narrative does more than describe a season, but tries to explain and to provide a real insight into the mind and life of a player and a club. Moreover, Dunphy tells it exactly how he sees it and he doesn’t spare the blushes of players or coaches. He is scathing about the professionalism of the coaching routines, the facilities, the manager’s decisions, how the game was being run by chairmen and directors, players who he felt were not being ‘true’ pros, and forensically picks apart the strengths and weaknesses of opposition teams. He’s equally open about his own performances and shortcomings, including his emotion turmoil at being dropped and his frank exchanges with his manager. There are some silences - he never really discusses the role of his family and friends, barely discusses journalists and the role of the media, or the fans. Instead the book very much focuses on the players and coaching staff. 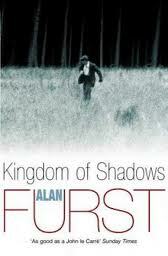 Having now read the book, it is easy to see how he sided with Roy Keane in the Saipan affair - Only a Game? details the same frustrations Dunphy had whilst at Millwall as Keane had for the Irish international set-up; and like Keane, Dunphy was obsessed with professionalism. Overall, an interesting book that gives real insight into the beautiful game. It has been a really hectic week between interview panels, talks, media work and the day-to-day stuff. One thing we have to do for our six monthly reports to government on the work of the institute I run is to give details on media coverage. We thus have to track all the stories and appearances. Hence I know that this week I passed the 500 threshold with respect to coverage of my own work/analysis broken down as follows: 11 TV appearances, 58 radio interviews, 127 stories in international newspapers, 147 stories in national Irish papers, and 165 stories in local Irish newspapers. Nearly all of this has been in the last two and a half years. Strange how it slowly accummulates and ebbs and flows. I never anticipated the coverage or doing media work, so it's been an interesting time. What are the real household charge numbers? 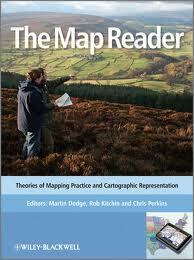 We got a nice email at the weekend informing us that we had won the Berendel Foundation's 2012 Cantemir Prize for our book The Map Reader. We're due to collect the award from HRH Prince Radu of Romania at a conference in Oxford University in September. Looking forward to the trip over to Morse country. 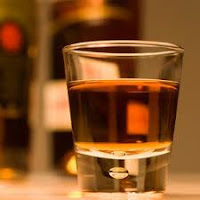 Here's a short yarn submitted to a story competition run in conjunction with Power's Whiskey. Had to be less than 450 words and on the theme of 'Celebrating what truly matters'. Last through the front door, Conor caught Jack and Siobhan sneaking hand-in-hand up the stairs. The two lovebirds descended reluctantly and ducked into the lounge. The other five house mates were already slouched on the two tatty sofas and two threadbare armchairs. ‘Sarah, see if you can find some candles, will you?’ Conor instructed a waif-like young woman dressed from head-to-toe in white. ‘What for?’ she answered, half-heartedly. He disappeared through a door into a messy kitchen. ‘Put some toast on, while you’re in there,’ Sean shouted through. ‘You’re like an empty pit,’ Jack said, dropping two slices of thick white bread into the toaster. He retrieved a tray from on top of the kitchen presses and on it placed an odd assortment of glasses. Back in the lounge the lights were off, the room lit by four candles. Somebody had put on some trance-like, electronic mood music. Conor slid the tray onto a coffee table, nudging a pile of magazines to the floor. He reached in behind the television and withdrew a bottle. ‘You’re a sentimental fool, Conor,’ Aine said. ‘Toast? My flippin’ toast!’ Sean dug himself out of the armchair and headed for the kitchen. They waited in silence until the big man returned, Conor passing out the glasses. ‘To us,’ the others chorused, clinking glasses. Vienna, 1934, and ten year old Meret Voytek, a talented young cellist, becomes a pupil of the concert pianist/cellist Viktor Rosen. A Jew, Rosen has fled Germany after a stint in a camp, but the political climate in Austria is deteriorating and he knows that he’ll shortly have to move on. 1940 and Meret is playing in the Vienna Youth Orchestra, shorn of its Jewish players, and Rosen has been detained in London and interned on the Isle of Man, along with an assortment of other European émigrés, including Rod Troy and Karel Szabo, a Hungarian physicist. Whilst some internees stay in Britain, others are sent overseas, Szabo put on a boat to Canada. A couple of months later he is recruited to work on the Manhattan Project. 1944 and Meret is in Auschwitz, trying to survive, playing in the women’s orchestra that greets new arrivals and waltzes them to the gas chambers. Szabo is in Los Alamos, helping to build the atomic bomb and Rosen is delighting audiences at concerts. 1948 and a man is killed on a London Underground platform, shot in the back. A man known to Rosen, who is now reunited with his protege, Meret. Inspector Freddie Troy, brother to MP and government minister, Rod Troy, is put in charge of the case. It doesn’t take him long to realise that there is more to the killing than it would first appear. He’s been warned in no uncertain terms to stay away from anything involving spooks, but Freddie’s always had a problem following commands and it always drops him in hot water. A Lily of the Field consists of two distinct parts. The first part charts the various strands of Meret, Victor and Szabo from 1934 to 1948, putting in place the contextual back story. The second covers Troy’s investigation into the underground station murder. There’s a distinct contrast in styles between the two parts. The first is light, quick, short scenes that provide insight into key moments and give good, strong pen pictures of the characters. The writing is expressive and Lawton delivers an expansive story, covering a number of characters, places and times, in a relatively short amount of space. The material is also historically rich, detailing key events over a 14 year period without it seeming as if things were skipped over or them dominating the narrative. It is a really skilful and engaging piece of writing. Really top-draw stuff. 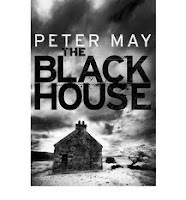 The second half, the pace drops and the writing becomes a little more leaden, and characters from the first half all but disappear for extended passages. At times, it is seems to become more about Troy and his family than the story. It’s still very good, but it lacks the sparkle and dash of the first part. Even so, the plotting is excellent and there is a satisfying resolution to the story. Overall, a shame that the second half did not have the verve of the first, but nonetheless a well crafted and very enjoyable read that is a cut above normal fare. I completely forgot that Patti Abbott was running her Drabble Challenge yesterday. The idea was to write a drabble based on one of three photos. As usual, I posted my Saturday drabble but it had nothing to do with the three pictures. C'est la vie. 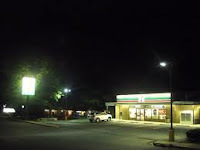 There are 21 drabbles over at Patti's blog. Check them out. 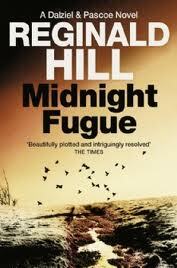 I have finally managed to buy a Reginald Hill book. It took nine bookshops, but I got there in the end. The book I've bought is Midnight Fugue, a Dalziel and Pascoe book. Although I've read a Reginald Hill book before then, it's not been in this series, so I'm looking forward to it. I also picked up Deon Meyer, 13 Hours; Colin Coterill, Love Songs from a Shallow Grave; Patrick deWitt, The Sisters Brothers; John Lawton, A Lily in the Field; and Sarah Helm, A Life in Secrets. A nice little haul. Wandering professor, Jay Morgan, has landed at East Oklahoma University to teach poetry on a one year contract. Beyond the fact that his students have a distinct lack of talent, within a week of term starting he has major problem - there’s a dead co-ed in his bed, the victim of a dodgy drug overdose, and an overly keen student journalist is tailing him. A potential benefactor to the university and aspiring poet comes to his rescue, helping him dispose of the body and cover his tracks. He has two further problems, however. First, the young woman’s parents have sent low life PI, Deke Stubbs, to find out what happened to her. Second, St Louis drug lieutenant, Harold Jenks, has decided to try and go straight, well kind-of. He’s stolen the identity of a kid who has a scholarship to EOU, skipping town with a hundred thousand dollars worth of cocaine, hoping that stolen rap lyrics and hallmark card greetings will be enough to edge him through Morgan’s poetry class. In his wake he has left a very pissed off drug lord. With the convergence of Jenks, Stubbs, Morgan’s slightly mad colleagues, and a St Louis gang, all hell is about to break loose. 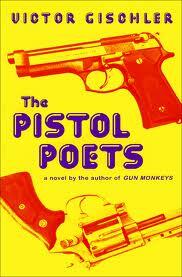 The Pistol Poets is a screwball noir with a healthy dose of mayhem and madness. 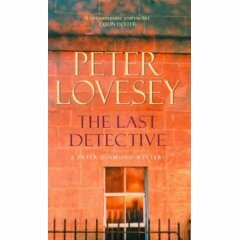 As with all books in this sub-genre, plausibility is thin on the ground, but that’s hardly the point. Instead, the plot skates the edges of credibility with a series of twists and turns, double-crosses, dead ends, and violent clashes, acted out with a weird and wonderful set of characters who are all slightly larger than life or are kooky in some way. 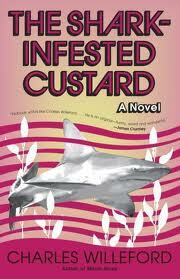 Moreover, the book is written in nice, tight, expressive prose, with a plot that is well choreographed. I was hooked from pretty much the first page and they then flipped over at a steady pace. It would have been quite easy for the various intersecting subplots to drift away into a bit of a mess, but Gischler has a firm hand on the tiller and keeps the whole thing together until the last page. A very enjoyable bit of escapist noir. I've been trying to buy a Reginald Hill book to read for the celebration of his life that's taking place this month. So far I've been to six bookshops and not found a single copy of any of his books, which has been a surprise. 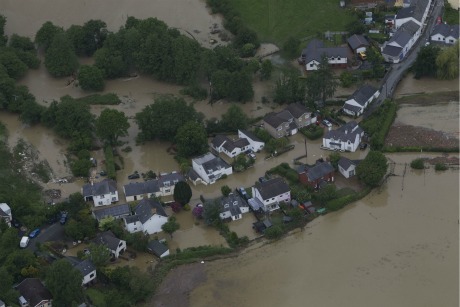 I'm off to Aberystwyth on Tuesday, assuming I can get through the floods (right), to do my external examining gig, and will take a scout round the bookshops there. If I've no joy there, then I'll have to resort to some online shopping. Other than that, it's been business as usual this last week. I did a TV interview for Danish television on Thursday. One of the Irish banks is owned by Danske Bank and they've been burned by the Irish property market. I've also posted on that a couple of times this week (see below). The chair toppled backwards, the old man’s head bouncing off the ground with a sickening thump. A gloved hand grabbed his brother’s throat. ‘What money?’ His voice was weak, his body shaking uncontrollably. 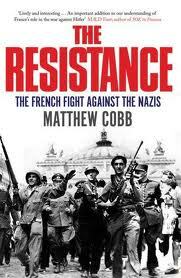 In Resistance, Matthew Cobb provides a broad social and political history of the French resistance movement in France during the Second World War, drawing on extensive archival and interview research. What his analysis demonstrates is that the Resistance was, in fact, many resistances, made up of hundreds of groups and cells working in broad alliances, cross-cut with deep political schisms, clashes of personalities, differences in opinion, tactics and strategies, and answering to different masters. A real strength of the book is that Cobb manages to, on the one hand, contextualise resistance within wider European and global politics and the war, and within what was happening in France with respect to the Vichy regime and the apparatus of Nazi oppression, and on the other, to provide in-depth discussion of particular individuals and groups, and their motivations, aspirations, actions and fate. As such, he provides by both breadth and depth, dispassionate contextualisation and poignant intimacy. It’s a powerful combination that leads to a huge amount of information being crammed into a relatively short book without it ever feeling rushed or truncated. In addition, rather than simply describing events as with many historical texts, Cobb provides an explanatory framework, seeking to interpret why certain decisions were undertaken, and he does so from a relatively neutral position, detailing how others have interpreted the same events and why his view concurs or differs. In my view, it’s an excellent piece of work, covering a huge amount of ground in a lively, engaging and informative voice. If you want a rounded, synoptic introduction to the various Resistance movements in France, this is a great place to start. I've two book reviews to put up in the next couple of days. I'm still working on drafting them, so in the meantime here are links to two interviews that were published in the last couple of days concerning Killer Reels. A fairly varied month of reading, in terms of the styles, places and how I rated the books. 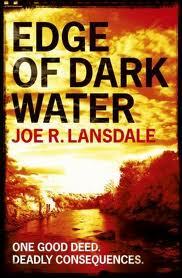 My book of the month is Joe Lansdale's Edge of Dark Water, a porch-told, coming of age yarn set in East Texas in the 1930s. Edge of your seat stuff. I was asked this week whether I could write a character drive story about a monster with whom the reader can sympathise. 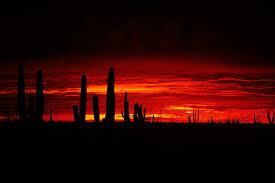 The two main ways to do this, I think, is to make the story about redemption or vengeance. Weighing up which way to go, or maybe there's a third way ...? He bolts for the door, black smoke twisting along the ceiling. 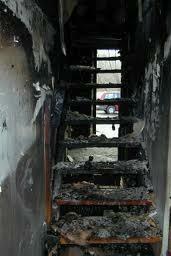 Flames are dancing in the kitchen, stretching out into the hall and up the stairs. He hurtles past her, disappearing into the charcoal fog. He turns back to the stairs. He takes a deep breath, then dashes into the flames.